Since his retirement, art lover Albert Flesseman enjoys traveling with his wife, visiting museums and classical music festivals. To do that, he needs both a rollator and a wheelchair. 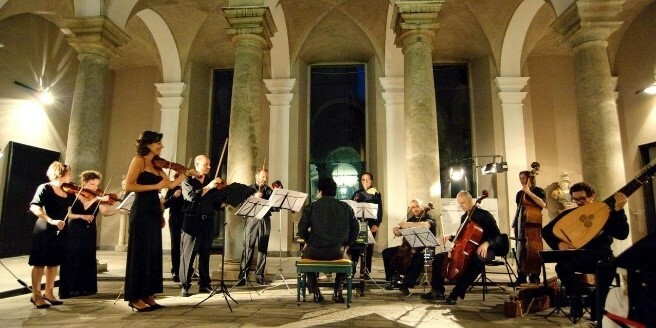 They have just returned from the classical music Festival d’Ambronay, in an old French monastery, just above Lyon. “I walked around during the breaks with the Rollz Motion, it is ideal. 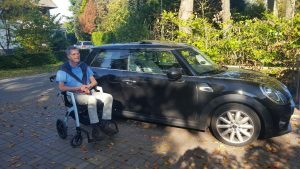 My wife pushed me around the festival grounds, and I sat in my own wheelchair while listening to the music.” They also visited the Chamber Music Festival at West Cork in Ireland and the Schubertiade at the Austrian Schwarzenberg. “Too bad we can’t go there with the Mini…” says Flesseman. He is looking forward to the exhibition of Giacometti and Chadwick ‘Facing Fear’ at De Fundatie in Zwolle. These two artists created their bronze sculptures to process the disruption and fear of the Cold War. Alberto Giacometti’s thin, vulnerable people are emaciated by the hard world, but are still standing proud and powerful.